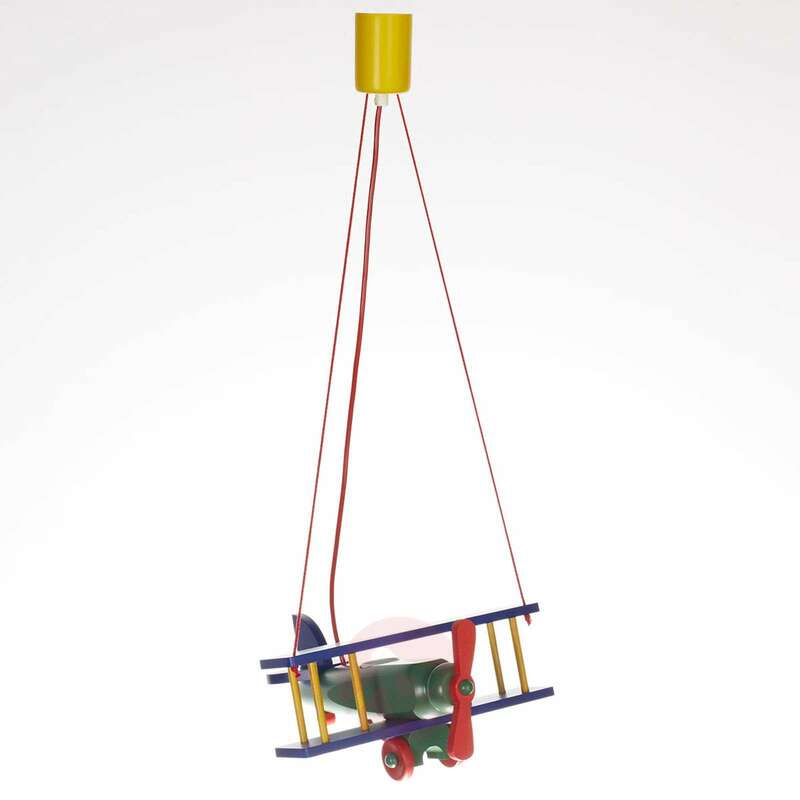 This pendant light is very dynamic - it appears to fly through the room. 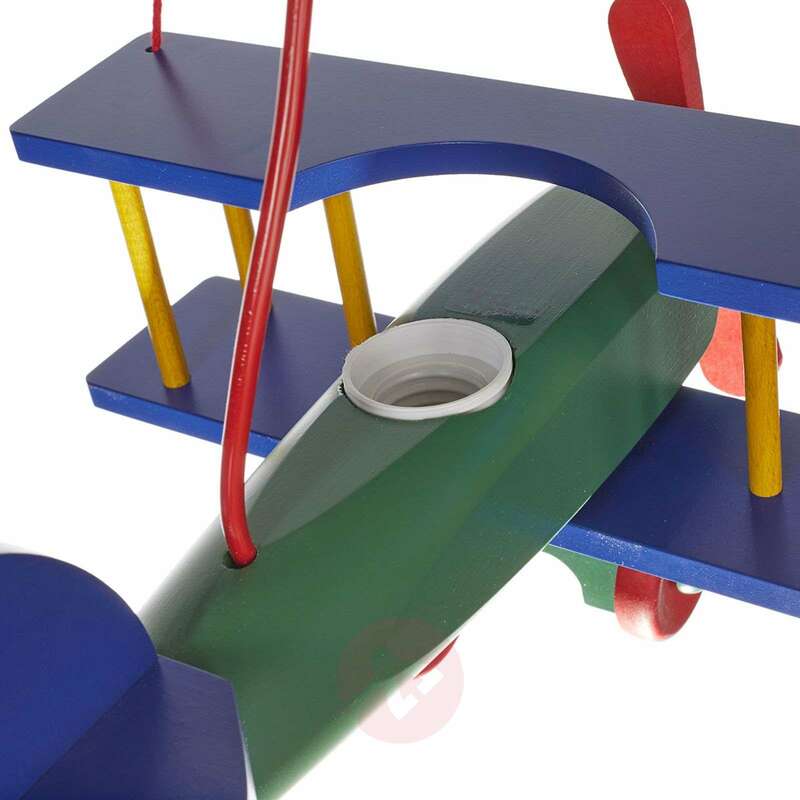 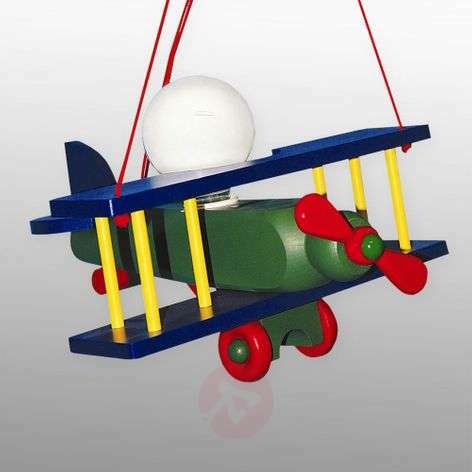 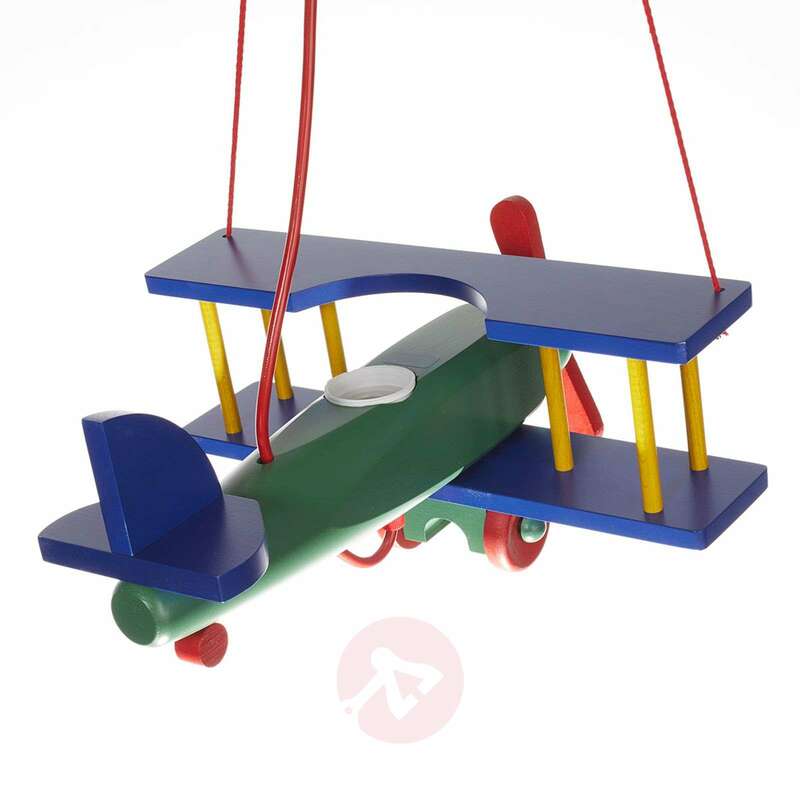 Aeroplane is a lovingly detailed hanging light made of coloured painted wood which ensures a good mood and cosy lighting in a children's room. 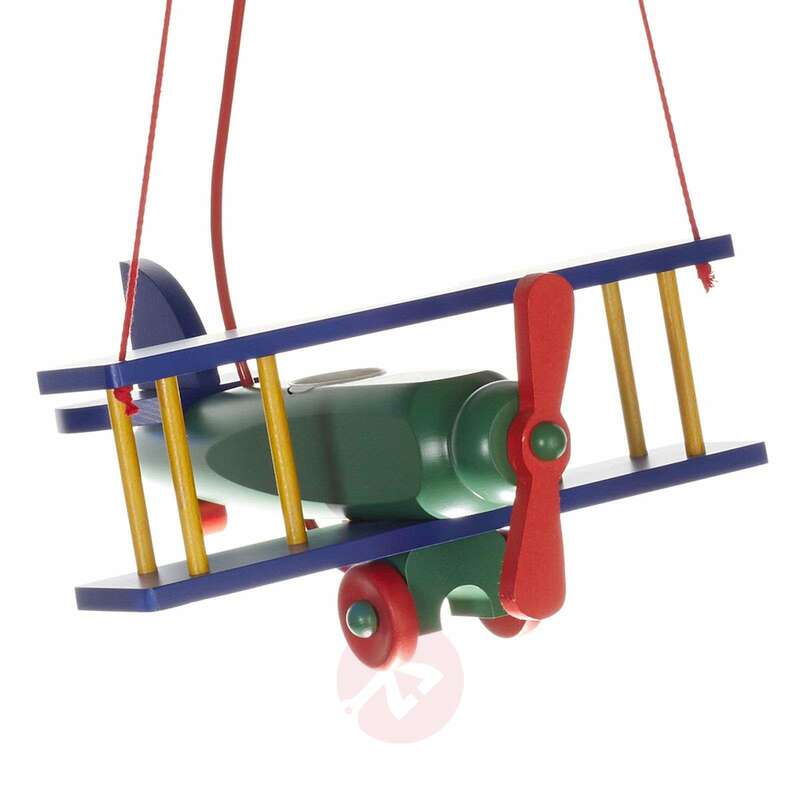 A special detail: the bulb represents the head of the pilot!